Stand on the plate with your feet flat and shoulder width apart while keeping your knees directly above your feet at a 100° angle. Keeping your back straight and upright slowly extend one leg backwards off of the plate. Hold the front handrail for added balance. 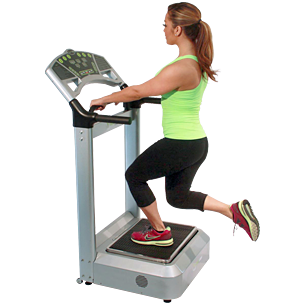 This exercise works your quadriceps, hamstrings, calf and gluteal muscles.